Synopsis : London-based activist Qiara Rana is devastated when investigations begin against Sameera Khan, her upright mentor at Girls Rock!, a small but reputed not-for-profit organization. She will do anything to save them from ruin. Even if it means visiting the city that still makes her heart bleed. But within a few hours of landing in New Delhi, she is being chased by a gunman and is a suspect in the murder of a high-profile businessman. The only person she can turn to for help is the man who stood her up ten years ago. Hey! I’m Lauren, and today I’ll be giving you my thoughts on Hollow City By Ransom Riggs. I’m finally done with Hollow City. It was a ‘Peculiar’ read (yes, I did that). The gist of the story is Jacob and his friends are taking a journey from Cairnholm to London in 1940 after a series of events has them fighting against time. Along the way they have to fight their way through Wights and Hollows. Making friends with Gypsies and Peculiar animals in the process. This book met my expectations and I would recommend it to Beginning readers that are interested in Fantasy, but some parts do become dark. It’s an Easy read, I loved Hollow City so much, almost more than the first book. There were lots of plot twist you won’t see coming. While certainly a fast-paced book full of plots twists left and right, unfortunately Shari Lapel’s The Couple Next Door falls flat on the very last page. While reading I felt like I was riding a rollercoaster, wondering which way she would turn next, but ultimately I was left disappointed. I won’t give away any spoilers but I would have been thoroughly satisfied had it ended before the very last page. Even so, the book kept my attention so much so that I stayed up late at night to finish, making it an easy, intriguing read. If you are looking for quick thriller this is for you. Enjoy! I have realized that I love a good suspense novel. Especially when it deals with the twisted world of teenage girls. I think girls get the rep of being sweet an innocent so I love when authors dive into their lives deeper and show what is kept hidden. Teenage girls are mean. I had heard a lot about this author’s book Into the Woods but that book had never caught my eye but I looked into her other books and that’s how I came across the book. I’ve decided to work backwards in reviewing what I’ve read from the 50 Scariest Books list. It’ll be a nice work up to October. 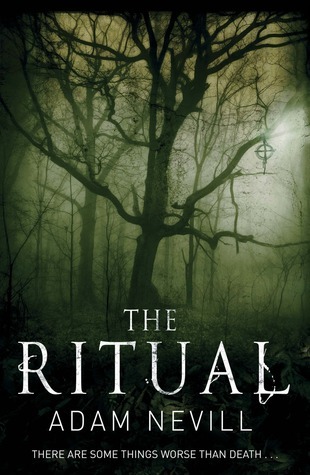 For my fellow fans of horror, this makes even me want to run out (okay, to my computer) and get this book. Love that kind of scary that puts people off scared. Disclaimer: This is a HORROR book. I typically don’t watch horror movies or read horror books because I get too scared, so I’m not sure what prompted me to request this from the publisher.